This weekend was the first one in what seems like forever that we haven't been away or hosting guests. 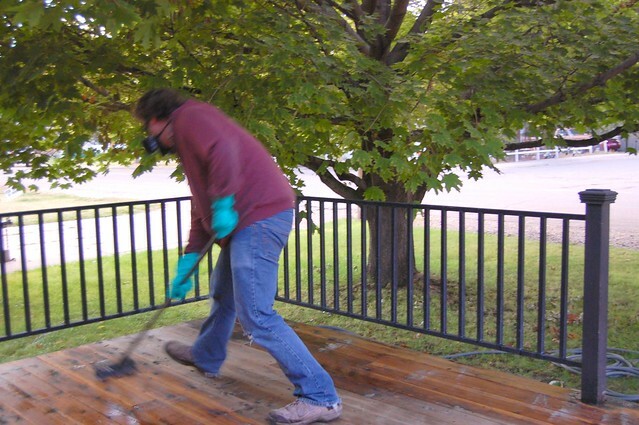 We took advantage of our free weekend, and the amazing weather, to paint our deck. 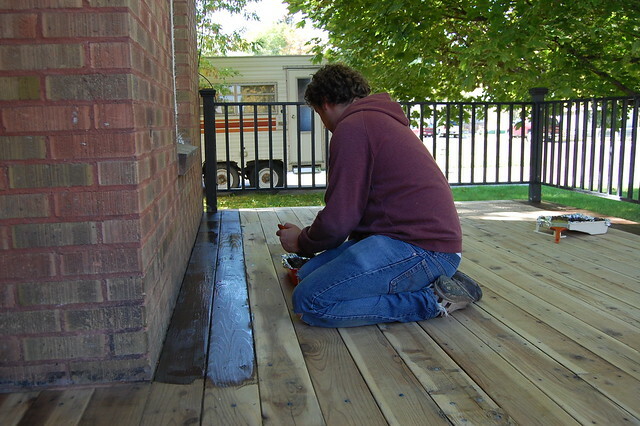 The black paint that had previously covered the deck had mostly peeled off. 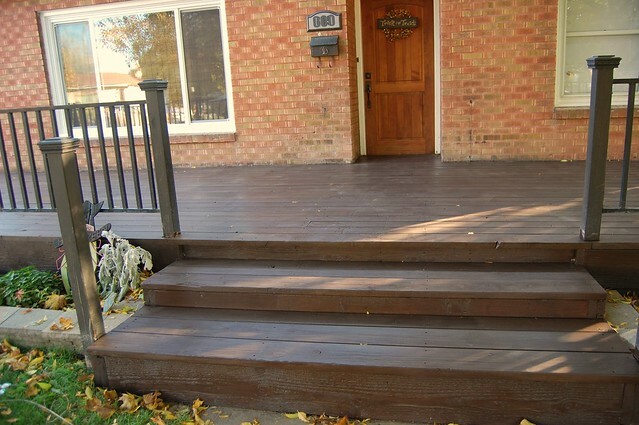 I decided I didn't want black anymore but finding a deck color that looks good on old wood + doesn't clash with the color of the bricks was harder than I expected. It took a mere seven sample bottles of stain before we found a color that was acceptable. 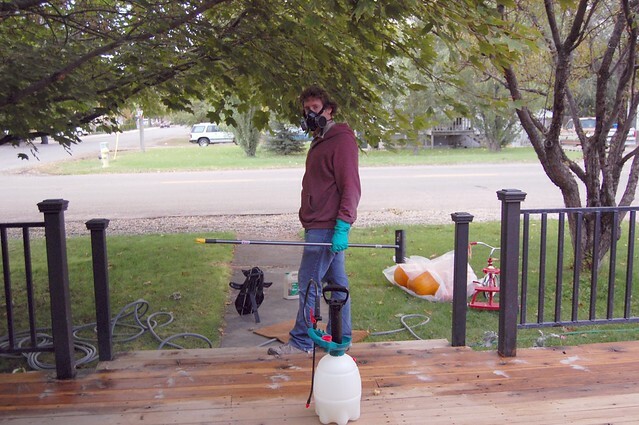 N8tr0n has been working like a fiend on the deck stripping, scrubbing, treating, sanding, and finally painting (I finally helped when it was time to paint). Like every other home project, this one took us way more time, cost way more money, and was way more of a pain than we thought it would be. 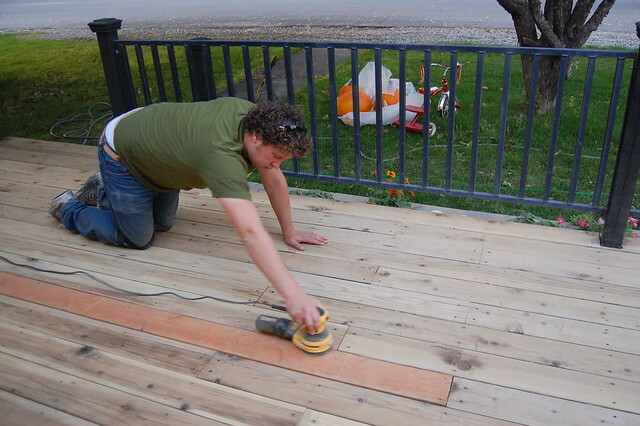 All that aside, we still really love home projects. 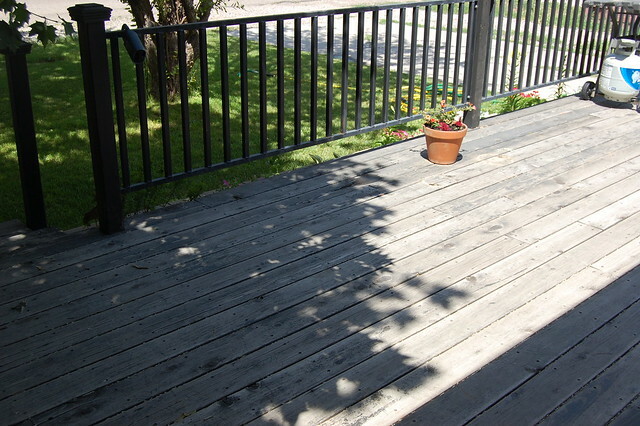 And we love our pretty deck. Now N8tr0n and I are constantly stopping to admire our (mostly his) work. We have big plans for the fence too but there is a good chance it will be spring before you see those results. What do you think? Any fun, more work that you thought they would be, projects going on in your home? Behr really seems to like premium products. Nice! I enjoyed Nate's comment as well. It looks gorgeous! Good work you two. Goodness, gracious! That is one gorgous, dreamy deck! Great job! It looks fantastic! Mandy! Or should, I say Nate!? Great Job! It looks awesome. 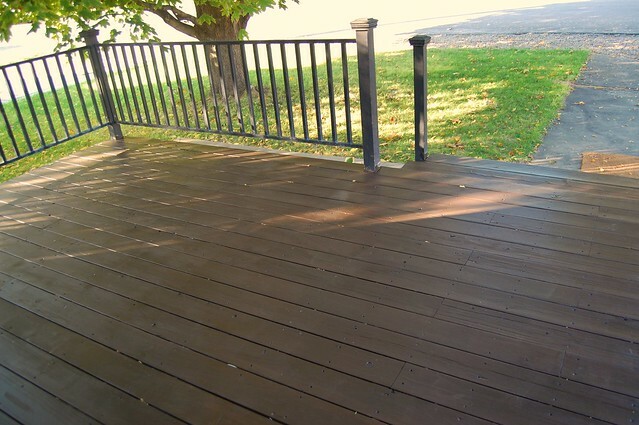 What a gorgeous deck. Your hard work definitely paid off. I'm going with Michelle on the kitchen cabinets. Finished ours about three weeks ago and they were a bear! Everything I read/researched made it look so easy, quick, painless. Ha, Ha! I love them so they were worth it...if only I could get up the gusto to do the bathrooms. Ugh.